Lorry owners across the country are contemplating a two-day token strike on October 9 and 10, to protest GST on sale of used vehicles and increasing diesel prices. Around 40 lakh vehicles will stop plying, if the strike plan is followed through. General secretary of South India Motor Transport Association G R Shanmugappa told that a delegation comprising All India Motor Transport Congress will take a call on the strike in Delhi on Wednesday. “It is not practical to impose a 28% GST on sale of old vehicles. Transport owners in the rural areas are affected and it is unnecessary too as it eats into the minimal profit we make,” Shanmugappa said. 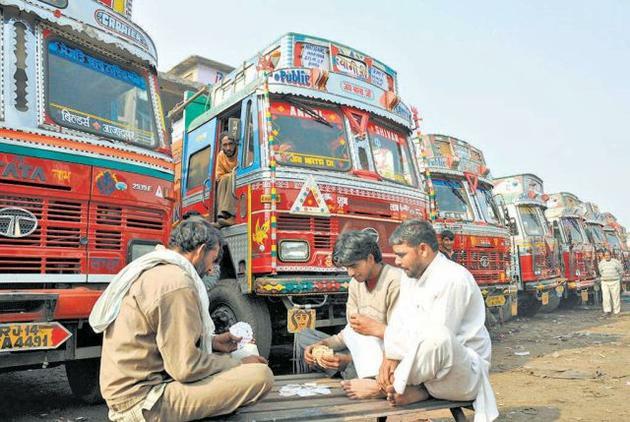 Though the central government cut excise duty on petrol and diesel on Tuesday, lorry owners have demanded that fuel be regulated under GST. “It will reduce the cost of fuel by at least Rs 10. Due to increasing fuel prices, we have had to pass on the load to the consumer,” said S Yuvaraj of the sand lorry owners’ federation.